NAKED Heat, the 5th palette in the NAKED series is a ‘hot’ palette featuring mainly warm, earthy, fiery tones. With 5 shimmer and 7 matte shades, it’s a good mixture of formulas. As compared to the previous palettes featuring only 2-4 matte shades and mainly shimmers. I am not a huge fan of the NAKED series, owning only the NAKED 3 palette prior to the Heat palette. Both NAKED 3(rose-gold tone) and Heat(fiery earth tone) are the one tone kind of palette. Which I love because they are very easy to use yet so versatile. The dual-ended brush that comes with the palette is as usual of good quality, with one side for packing on the colors and the other for blending. As long as you clean the brush in between colors, the dual-ended brush is all you need for this palette. Here are swatches of the Naked Heat palette. The shimmer shades all have good pigmentation and are all very smooth and buttery. The mattes are soft and buttery but some shades can be a little chalky to touch but no issues when blended out on the eyes. From left to right: Ember, Ashes, En Fuego, Cayenne, Scorched, Dirty Talk, He Devil, Lumbre, Low Blow, Sauced, Chaser and Ounce. I feel that this is the palette for summer and for those who love warm tones in general. Is this palette for everyone? I would say yes and no. The colors in the palette are mostly complimenting and very easy to pair with. However, dark earthy orange tones are not the easiest colors to work with. One can easily end up with a bruised look if the colors are not blended properly. The colors are definitely on trend for the season. Perfect summer colors that can be used even in transition to fall. My favorite colors in the palette are Chaser, Lumbre, He Devil, Scorched and Ember. Chaser is a lovely light peachy matte brown that is very smooth to blend. It works great as a transition or highlight. Lumbre, Scorched and Ember are shimmers which are really smooth and buttery with great pigment. These are great lids and outer V(Ember) shades. He Devil is a nice medium reddish matte brown that works great all over the lid or in the crease. Retailing at $83, the NAKED Heat Palette is available at Sephora and Urban Decay Free Standing Stores. Happening from 6th to 8th June, it’s just 3 more days to the LAZADA GSS SALE! What to look out for during the Lazada GSS Sale? Flash deals every 2 hours! 42 Specially Curated Surprise boxes worth at least $100 for simple $29!!! Plus use the code GSSJOYCE18 for 18% off with no minimal spending! There’s a cap of $8 max discount and only for new users though! Sneak Peak of the Revlon X Lazada Surprise Box! I was very excited to receive the Revlon X Lazada Beauty Surprise Box as you are know how much of a beauty junkie I am! There’s a total of 5 items in the box and today I’m featuring two of my favourite products from the box! First up is the Revlon Colorstay Eyebrow Liner! I love that it’s creamy and really easy to draw! Plus it’s waterproof and almost budge proof after it settles. And it’s always a plus point when the pencil comes with a spoolie brush to brush through the brows for a softer effect after drawing. Would recommend a light hand when using this eyebrow liner as it is also very pigmented! Would recommend a light hand when using this eyebrow liner as it is also very pigmented! Next is the Ultimate All-in-One Mascara! This mascara comes with a mini brush that makes it easy to get to the corner lashes, making sure that no lash is left out! It provides volume, and help to lift up the lashes and also lengthens! The colour is also super intense to give you the defined look! And of course, it’s waterproof! No smudging even after an average of 10 hours wear! Nicely defined full brows with lashes that are plumped up in length and volume thanks to the Revlon Brow Liner and Ultimate All-in-One Mascara! There are only 42 boxes available that will be released throughout the 3 days of the sale so fastest fingers first! $29 is really worth it! Surprise Box Social Media Contest! For those who managed to snag a surprise box during the LAZADA GSS SALE ! Here’s a contest for you to win attractive prizes! Simply post an unboxing of the surprise box you got on your social media channels with the hashtag #lazadasurprises to enter! Simple right? I’m sure many of you who do get the box will be sure to post it on social media, so just add the hashtag to enter the contest ok? Who knows you might get extra luck to win! Sephora totally replaced my to go place for makeup when it first landed in Singapore. I’ve been a regular shopper there to satisfy my makeup addiction since then, almost never leaving Sephora without a purchase. And it’s no surprise that I am a black card member with unlimited 10% off because I always hit the $250 mark to qualify for it. So when I was offered credits to do a makeup haul from Sephora, I was more than happy to do so! I did try my best to keep within budget but I ended up spending some extra dollars. It’s not easy to decide on what to buy when there are thousands of choices out there! Hence, I decided to narrow it down to brands and picked enough items which allowed me to create a makeup look. I’ve picked up an eyeshadow palette in Rust and a Studded Kiss Lipstick in Adora from Kat Von D. Kat Von D is pretty new in our local shores, and is famous for its Tattoo Liner! I already have the liners, foundation, and concealer from this brand. Hence, I’m curious on how the other products perform so I’ve got two items! I love my Tarte blushers for its longevity and pigmentations that could be built up. The Tarteist Contour Palette is great as it has all the products you need for contour and highlight including a lovely blush shade! This is a brand which I’ve yet to try. I picked up the Eyebrow Stylus which comes along with a gel. I would say it’s pricey for a brow product but I’m pretty much blown away by how soft the pencil is and the ease of use. 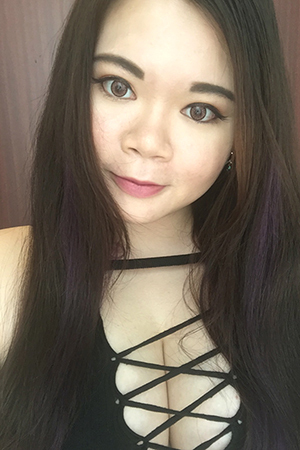 My makeup of the day using mostly loots from this Sephora haul except for mascara and base! I really love how the Kat Von D Studded Kiss Lipstick in Adora is such a wearable red! It’s suitable for everyday wear!! Shop Your Favourite Makeup With Sephora Online! And it’s great that Sephora now have an Online Shopping platform! Shopping for your favourite makeup brands can be now done here in the comfort of your home! And it’s great if you don’t like waiting because they usually released new brands online first! Plus I love how they deliver to POP Stations as there is one near my office. I can just collect at my own time once delivered, not having to worry about having no one at home to receive my precious Sephora haul! Have you recently haul at Sephora? Let me know what have you bought!